Robinson, Amanda. "Mary Two-Axe Earley". The Canadian Encyclopedia, 18 October 2018, Historica Canada. https://www.thecanadianencyclopedia.ca/en/article/mary-two-axe-earley. Accessed 21 April 2019. Mary Two-Axe Earley, Kanien’kehá:ka (Mohawk) elder, advocate for women and children, human rights activist (born 4 October 1911 on the Kahnawà:ke reserve, QC; died 21 August 1996 in the same place). 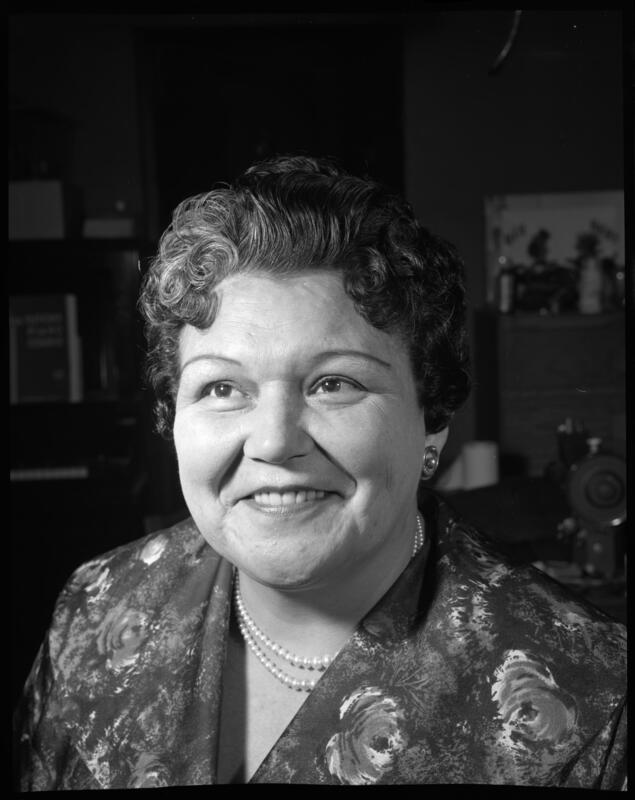 Mary Two-Axe Earley was a pioneer and architect of the Canadian women’s movement. Her political activism helped to forge a coalition of allies to challenge Canadian laws that discriminated against Indigenous women. The great bulk of her political advocacy spanned the last three decades of her life, and she was particularly active in the 1960s, 1970s and 1980s. 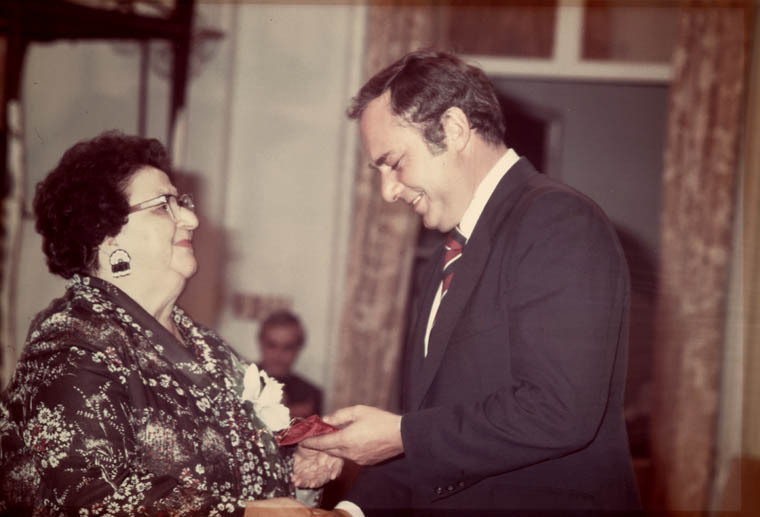 Mary Two-Axe Earley receiving the Governor General's Persons Case Award for contributing to equality for women and girls in Canada, 17 October 1979. Born in 1911, Mary Two-Axe Earley grew up on the Kahnawà:ke reserve, a farming community adjacent to the St. Lawrence River, on Montréal’s south shore. The Kanien’kehá:ka are members of the Haudenosaunee Confederacy (Six Nations or Iroquois Confederacy). They are also known as the “Keepers of the Eastern Door” because of their geographical location at the most easterly reach of the Haudenosaunee territory. (See also Indigenous Territory). As a child, Two-Axe Earley stayed with her mother — an Oneida teacher, healer and nurse — as she cared for vulnerable members of their communities. Tragically, when she was just 10 years old, her mother died of the Spanish flu while attending to sick students in North Dakota. This illness ravaged the global population in the aftermath of the First World War. At the age of 18, during a time of limited employment opportunities for people on reserves in Canada, Two-Axe Earley left her ancestral land and migrated to the United States in search of work. She settled in Brooklyn, New York, where a Mohawk	community, “Little Caughnawaga,” grew around the steel and iron industries during the boom of the 1920s. It was here that she met and married Edward Earley, an electrical engineer of Irish-American origin. 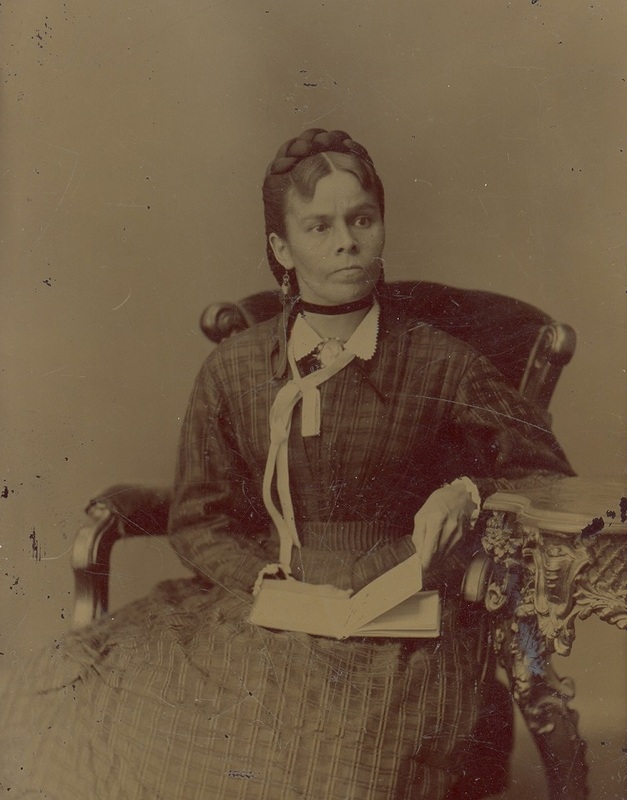 She and her husband bore two children, Rosemary and Edward Earley. Mary Two-Axe Earley spent much of her life fighting against the injustices that the Indian Act created for Status Indian	women. An amendment to the Act in 1876 — section 12(1)(b) — removed land and treaty rights for Status Indian women who “married out” (i.e., married a non-Status Indian man). Under this amendment, Status Indian men could still pass down their status to their wives and children, but Status Indian women could not. This is because First Nations women first inherited the status of their fathers and then of their husbands. If their husbands were also Status Indians, the women would adopt their status and live with their husband’s band. If their husbands were not Status Indians, they would lose their status entirely. Under section 12(1)(b), women who sought divorces from Status Indian husbands would also have their status revoked, and the only way a woman might regain her status was to (re)marry a Status Indian man. Therefore, Indian status was determined by the male lineage. These status provisions worked as agents of forced assimilation and disenfranchisement, which marginalized Indigenous women and institutionalized male privilege within band governments. This ultimately created social conditions of oppression both on and off reserves. (See also Indigenous Women and the Franchise and Indigenous Women’s Issues). In 1966, after one of Two-Axe Earley’s Mohawk clan sisters died in her arms of a heart attack, she became vocal about Indigenous women’s rights. She firmly believed that stress was a contributing factor in her friend’s death, since she had been denied property rights in Kahnawà:ke under the Indian Act. Two-Axe Earley mobilized a series of speaking and writing campaigns to raise the profile of abuses faced by women who had been denied status, treaty and property rights under the Indian Act. The hearings of the Royal Commission on the Status of Women in Canada (RCSW) began in 1967 as a direct result of the coordinated efforts of various women’s organizations. These groups repeatedly called for sovereignty over their own bodies, constitutional reform and equality under the law. Ready to spirit this agenda, Two-Axe Earley became involved with Indian Rights for Indian Women (IRIW) in 1967, an advocacy group dedicated to resisting gendered colonialism. 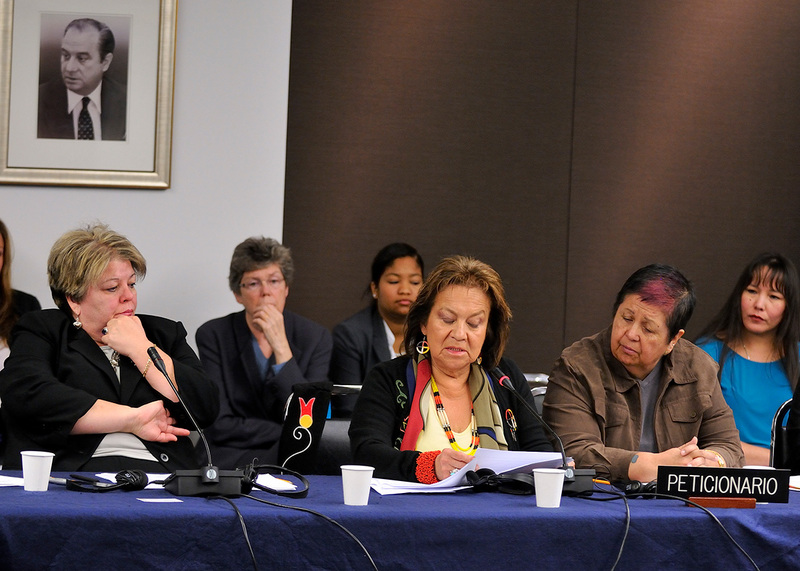 The RCSW offered a mainstream platform for IRIW to communicate the inequality experienced by Indigenous women. While the findings of the RCSW recommended “that the Indian Act be amended to allow an Indian woman upon marriage to a non-Indian to (a) retain her Indian status and (b) transmit her Indian status to her children,” the change was not adopted. Two-Axe Earley found herself affected by section 12(1)(b) upon the death of her husband in 1969, when she had to transfer ownership of her house to her daughter (who was married to a Kahnawà:ke man) in order to return to the reserve. The failed recommendations of the RCSW in 1970 were followed by a long period of unwillingness by the Canadian government and the National Indian Brotherhood (renamed the Assembly of First Nations	in 1982) to address the patriarchal and oppressive nature of section 12(1)(b) of the Indian Act. Two-Axe Earley and her allies continued to wage this human rights battle throughout the 1970s. In 1974, she became a founding member of the Québec Native Women’s Association. The following year, Two-Axe Earley accompanied 60 other women from Kahnawà:ke to the International Women’s Year conference in Mexico City. While at the conference, Two-Axe Earley received a phone call informing her that the Kahnawà:ke band council had served the women in attendance at the conference eviction notices. A brilliant strategist, Two-Axe Earley used this event to highlight the racist and gendered discrimination she and other women faced in Canada at an international forum. In light of the negative coverage garnered by this move, the band council withdrew their original eviction orders. On 17 October 1979, Mary Two-Axe Earley was recognized for her work with Indian Rights for Indian Women, and received the Governor General’s Persons Case Award for her notable contributions to the advancement of equality and rights for women and girls in Canada. In the 1980s, Two-Axe Earley was celebrated by York University in Toronto with an honorary doctorate of law, made an Officer of the National Order of Québec (Ordre national du Québec) in 1985 and issued a National Aboriginal Achievement Award in 1996 (now called the Indspire Award). Following three decades of activism, Mary Two-Axe Earley fell ill of respiratory illness. She left her earthly body on the same reserve where she was born, on 21 August 1996, at the age of 84. Before her death, she reaped the rewards of the constitutional changes she herself fought to make. As per her wishes, Two-Axe Earley was buried in a Catholic cemetery on the Kahnawà:ke reserve. Mary Two-Axe Earley was a courageous and vocal agent of constitutional change for women marginalized by the Indian Act. Her work remains significant to the legacy of the women’s movement and Indigenous women’s activism in Canada. Kathleen Jamieson, “Multiple Jeopardy: The Evolution of a Native Women’s Movement,” Atlantis (1979). Bonita Lawrence and Kim Anderson, “Introduction to ‘Indigenous Women: The State of Our Nations,’” Atlantis (2005). Mary-Jo Nadeau, “Troubling Herstory: Unsettling White Multiculturalism in Canadian Feminism,” Canadian Woman Studies (2009). Ellen Gabriel, “Aboriginal Women’s Movement: A Quest for Self-determination,” Aboriginal Policy Studies (2011). Cora A. Woolsey, “The Indian Act: The Social Engineering of Canada’s First Nations.” Explorations in Anthropology (2013). DOCUMENTARY Reaghan Tarbell, Little Caughnawaga: To Brooklyn and Back,National Film Board of Canada, Documentary (2008).